“To the Day We Celebrate!” were the words that launched Cleveland’s first public observance of St. Patrick’s Day in 1842. When the city was only a few decades old and Ireland’s independence was still many years in the future, Clevelanders of Irish descent gathered to celebrate the patron saint of the Irish people. Asserting their identity, and faith, they were already making their mark in a new land. This book uncovers the collective story of a community through the lens of a proud and beloved tradition that has brought a people together for 175 years-the St. Patrick’s Day Parade. Extensive original research–complemented with hundreds of historical and contemporary photographs, maps, and manuscripts–reveals the story of an enduring Cleveland community and one of the city’s oldest and most vibrant public celebrations. The city’s libraries and archival collections–at the Western Reserve Historical Society, Cleveland Public Library, Cleveland State University, and the Catholic Diocese of Cleveland–provided crucial resources for the research behind this book. Individuals and groups stepped up as well to provide photographs and club records. 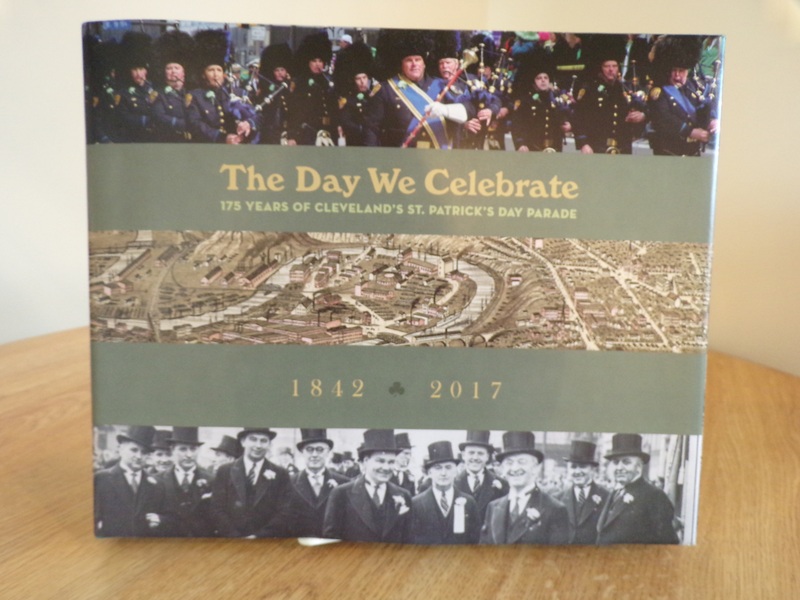 Also helpful were oral history interviews with current and former Executive Directors of the United Irish Societies of Greater Cleveland, which took over management of the annual St. Patrick’s Day Parade in 1958 and manages the Parade to this day.